Mix the contents of this pouch with 125ml of water or your favourite milk and 100 ml of vegetable oil until completely folded. Bake it in a grease proof tin for 45 minutes in a 170 degrees oven. Serve with all the trimmings or as a stuffing substitute. Ingredients: sunflower seeds, chia seeds (10%), gram flour, brown rice flour, white rice flour, tapioca starch, corn starch, gluten free oat flour, unrefined sugar, soda bicarbonate, xanthan gum, mono calcium phosphate, onions, bay leaves, mixed herbs, pink Himalayan salt. 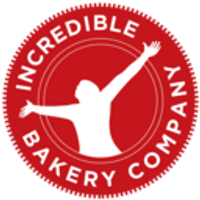 Craft product made in the Incredible Bakery in Warkton, Northamptonshire that has no contact with the 14 common food allergens defined by EC Regulations.